Topiary exhibits playful geometries that assert personalities and actions – a plump sphere is a powerful mob-boss when surrounded by smaller spherical constituents, or a lazy oaf when next to a sophisticated spiraling tower. Their fluid bodies adapt to change and transform spaces and experiences. Unlike traditional architecture, their relationships are flexible – the pliable medium that can be infinitely carved, shaped and reformed. The scrub grows - cut it into a cube; it grows more - primp it into a pyramid. Lyme Park transformed from an Italian garden to a Dutch lawn without any change to the ground. 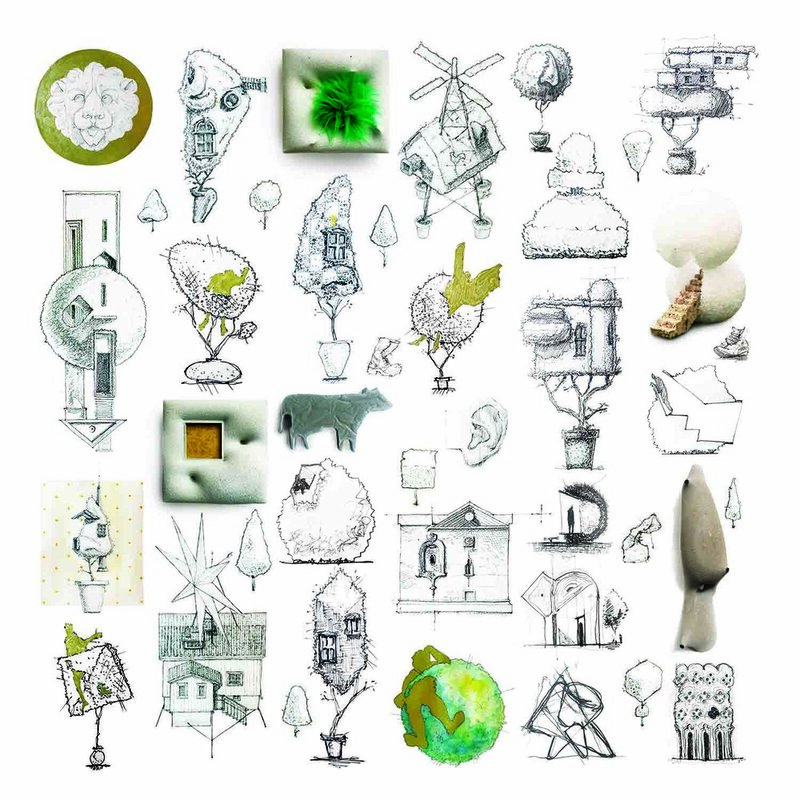 Although topiary’s scale ranges from small furniture to roomy sheds, its core geometries are scale-less and their figuration can be adapted for architecture. 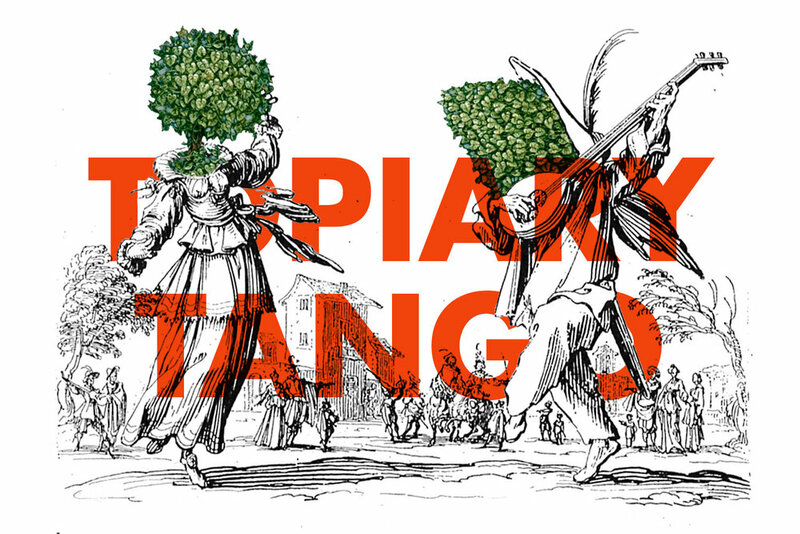 Topiary Tango is a quest to develop a method for animating architecture into commedia dell’arte-esque performances through the study of topiary’s playful forms, spatial relationships, and practice. At the moment, there is no conclusion to this study. This project is made possible by the generous Stewardson Keefe Lebrun Grant awarded by the New York Center for Architecture.